(1) Number. Unless otherwise stipulated or ordered by the court, a party may serve on any other party no more than 25 written interrogatories, including all discrete subparts. Leave to serve additional interrogatories may be granted to the extent consistent with Rule 26(b)(1) and (2) . (2) Scope. An interrogatory may relate to any matter that may be inquired into under Rule 26(b) . An interrogatory is not objectionable merely because it asks for an opinion or contention that relates to fact or the application of law to fact, but the court may order that the interrogatory need not be answered until designated discovery is complete, or until a pretrial conference or some other time. (c) Use. An answer to an interrogatory may be used to the extent allowed by the Federal Rules of Evidence . (1) Timing. A party may serve written interrogatories on the plaintiff after commencement of the action and on any other party after service of the summons and complaint on that party. (3) Number. Unless otherwise stipulated or ordered by the court, a party may serve on any other party no more than 50 written interrogatories. Interrogatory subparts are not counted as separate interrogatories if they are logically or factually subsumed within and necessarily related to the primary question. Leave to serve additional interrogatories may be granted to the extent consistent with Rule 26(b)(1)(B). (B) if that party is a public or private corporation, a partnership, an association, a governmental agency, or any other organization, by any officer or agent, who must furnish the information available to the party. The responding party must serve its answer and any objections within 30 days after being served with the interrogatories, but a defendant is not required to serve its answer and any objections until 45 days after service of the summons and complaint on it. A shorter or longer time may be stipulated to under Rule 29 or be ordered by the court. Any stipulated extension of time applies to interrogatory answers and objections. Each interrogatory must, to the extent it is not objected to, be answered separately and fully in writing under oath. A party must restate the interrogatory being answered immediately preceding its answer to the interrogatory. The grounds for objecting to an interrogatory must be stated with specificity. Any ground not stated in a timely objection is waived unless the court, for good cause, excuses the failure. The person who makes the answers must sign them, and the attorney who objects must sign any objections. (6) Repetitive Question. A party is not required to answer an interrogatory that is repetitive of any interrogatory it has already answered. An interrogatory served by one party is considered to be served by all parties. (c) Use. An answer to an interrogatory may be used to the extent allowed by the Rules of Evidence. Rule 33 was amended, effective January 1, 1981; September 1, 1983; March 1, 1992 on an emergency basis; July 14, 1993; March 1, 1997; March 1, 2004 ; March 1, 2008 ; March 1, 2011 ; March 1, 2013 ; March 1, 2016 . 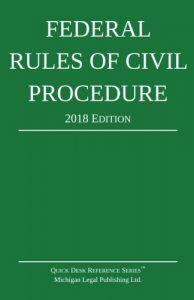 Rule 33 was amended, effective March 1, 2011 , in response to the December 1, 2007, revision of the Federal Rules of Civil Procedure. The language and organization of the rule were changed to make the rule more easily understood and to make style and terminology consistent throughout the rules. Paragraph (a)(3) was added, effective March 1, 2013 , to limit the number of interrogatories a party may serve. Each party is allowed to serve 50 interrogatories on any other party, but must obtain leave of court (or a stipulation from the opposing party) to serve a larger number. Parties cannot evade this limitation by joining as “subparts” questions that seek information about discrete separate subjects. However, a question asking about communications of a particular type should be treated as a single interrogatory even though it requests that the time, place, persons present, and contents be stated separately for each such communication. Paragraph (a)(3) was amended, effective March 1, 2016 , to define the instances in which a subpart of an interrogatory does not constitute a separate interrogatory. Paragraph (b)(2) was amended, effective March 1, 2004 , to clarify that any stipulated extension applies to answers and objections. Subdivision (d) was amended, effective March 1, 2008 , in response to the 2006 federal revision. The amendments clarify that electronically stored information is a type of business record. SOURCES: Joint Procedure Committee Minutes of January 29-30, 2015 , pages 15-16 ; January 26-27, 2012 , page 20-22 ; January 29-30, 2009 , page 28; September 28-29, 2006 , page 20-22 ; January 30-31, 2003, pages 13-15; September 28-29, 1995 , page 14 ; November 7-8, 1991 , page 5 ; October 25-26, 1990 , pages 17-18 ; February 17-18, 1983 , pages 12-14 ; October 30-31, 1980 , pages 19-20 ; November 29-30, 1979 , page 7 ; Fed.R.Civ.P. 33. CROSS REFERENCE: N.D.R.Civ.P. 26 (General Provisions Governing Discovery) , N.D.R.Civ.P. 29 (Stipulations Regarding Discovery Procedure) , N.D.R.Civ.P. 34 (Production of Documents and Things and Entry Upon Land for Inspection and Other Purposes) , and N.D.R.Civ.P. 37 (Failure to Make Discovery Sanctions) ; N.D.R.Ev. 510 (Waiver of Privilege by Voluntary Disclosure) .